In this post I will show you how to install VMware Integrated OpenStack (VIO) on your existing vSphere environment, and go into how you configure your first cluster, as a preamble to my next posts on this subject. If you know what VIO is you can skip straight to the install and configure. What is VIO? 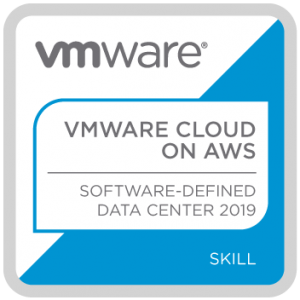 It is a VMware supported OpenStack distribution that lets you run an enterprise grade OpenStack cloud on top of VMware virtualization technologies. Use cases include building an IaaS platform, providing OpenStack API access to developers, leveraging edge computing and deploying NFV services on OpenStack. What is Kubernetes? Kubernetes (often abbreviated to K8s) is an extensible open-source orchestration platform for managing containerized workloads and services that was developed by Google, before being open sourced in 2014. You can read more about what K8S is by clicking the link at the bottom of this page. So what then is VIO with Kubernetes? VIO with Kubernetes adds in a Kubernetes module for VIO that creates a Kubernetes management interface, allowing traditional vSphere admins to manage Kubernetes clusters and because Kubernetes is run from within VIO, the provision of compute, storage and networking is done for you. In a later slide I will show you how the creation of a cluster from within VIO automatically spawns several Ansible tasks, that you will see within the vSphere Web Client. From a Developers point of view, everything looks the same with clusters being managed with the same kubectl commands. VIO enables you to deploy OpenStack clusters onto your existing vCenters, leveraging the High Availability features of vSphere, and when coupled with NSX and vSAN, admins are now able to deploy and manage OpenStack clusters from the vSphere Web Client. Under the hood, the cluster installation steps are accomplished utilizing Ansible to configure the nodes with predefined setups. You can configure Cloud Providers which are the infrastructure interfaces used by VIO with Kubernetes to create the VM instances that will act as masters, workers, and routers. When integrated with NSX, VIO with Kubernetes can create virtual networks on the fly, placing Kubernetes nodes behind a Kubernetes router, which filters traffic to the containers hosted on the cluster. I have created a short video of the install or you can use the step by step screen shots below. Please note VIO 4.1 is compatible with vSphere 5.5 U2 and above, but if in doubt please see the requirements section in the link at the bottom of this page. If all has gone to plan, you should now be able to see the VIO with Kubernetes blue screen in your Remote Console. The Configure networking page presents you with three options. I am fortunate enough to have the full SDDC stack in my lab, so I chose NSX-V and will explain the config below. Distributed switch is what you would choose if you just have vSphere in your environment, no NSX. Verify the settings on your Kubernetes cluster, remembering to scroll down to see additional detail. Previous: Previous post: Where are the VCDXs?